Beautiful creation Julie I so love that image she is delightful also loving the lace and papers, smashing card. This adorable image is perfect with the softness of that beautiful lace and ribbon! Beautifully colored, my friend. So pretty. .Thanks for joining us over at Eureka Stamps. 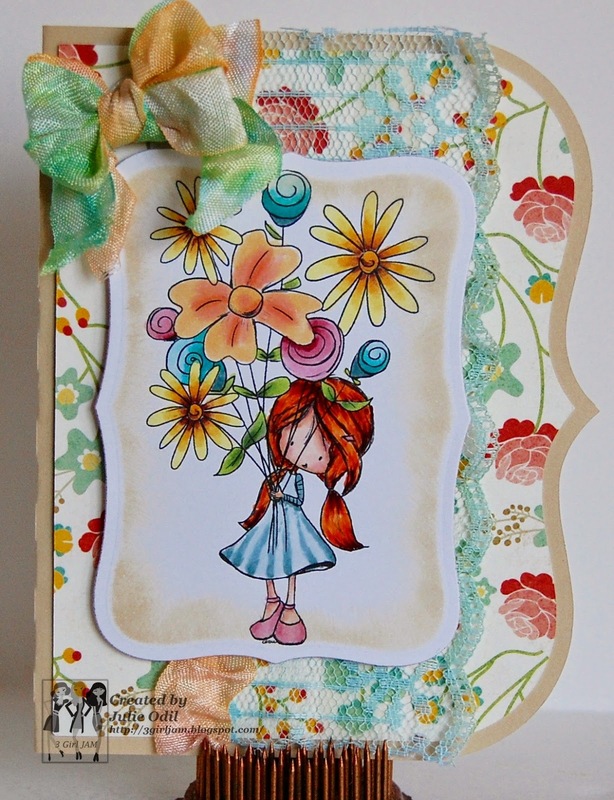 A beautful card with an adorable flower girl! Love the card shape! Thank you for sharing and joining us at The Paper Shelter! Beautiful card !! Wonderful details .. Nice Coloring !!. Thank you for participating in our Paper Shelter "Lace" challenge this week ! !